Stormwater runoff is a major contributor to surface water pollution, perpetuating ever-increasing state and federal demands for stormwater runoff control and reporting. A wide range of flexible instrumentation enables Teledyne Isco to meet non-point source discharge monitoring requirements. The National Pollutant Discharge Elimination System (NPDES) Stormwater Program regulates stormwater discharges from potential sources that include both point and non-point sources. Operators and managers of storm sewer systems, construction sites, croplands, industrial sectors, and urban areas may be required to obtain authorization to discharge stormwater, in accordance with both federal law, and often more stringent state and local regulations. To meet these requirements, businesses, municipalities, and other organizations must develop comprehensive stormwater monitoring programs. These programs typically consist of several parts, including the collection and storage of storm event data on rainfall, flow, and measured pollutant levels, as well as taking water samples during the storm event for laboratory analysis. Representative sample collection is dependent upon crucial factors such as timing, flow volume, and water quality. Rapidly changing storm conditions can present several challenges to accurate sample collection, monitoring of system status, program adjustment needs, and data retrieval. With instrumentation from Teledyne Isco, a site-specific system can provide precise automatic sampling with real-time data collection and flexible programming. All of this and more can be achieved from remote locations. The 2105C (CDMA) and 2105G (GSM) Cellular Interface Modules allow the user to remotely enable an Isco Model 6712 portable or Avalanche portable refrigerated wastewater sampler while simultaneously monitoring current site conditions, with flow and water quality data logged and transferred to a secure server database. Immediate access to data and the ability to send commands to a sampler from off-site can reduce labor and fuel costs. Additionally, the user can wait until a storm has passed to retrieve the samples, meaning safer working conditions. 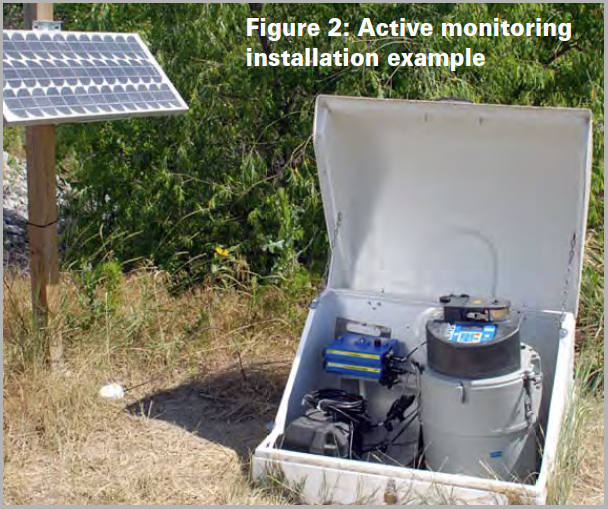 You can download the entire Teledyne ISCO Active Stormwater Runoff Monitoring application note here. For more information, visit http://isi.group or call 407-324-7800.